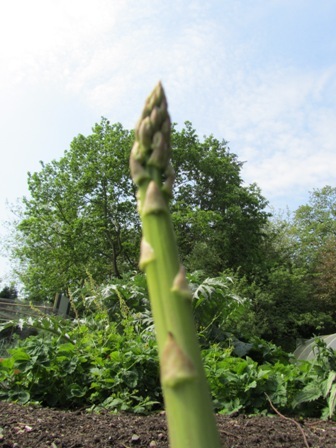 The asparagus beds are producing lots of tasty spears this month. 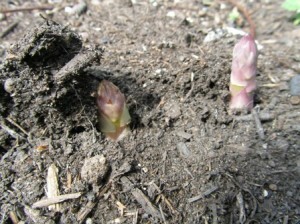 Pictured here, some spears photographed this morning (28 May) just emerging. There will be new spears available for you to buy, every day – first come first served – until the end of June.